It was a pleasure to welcome Year 5 pupils from Coten End Primary School to Myton on Tuesday to continue their resilience sessions. We have been working with our friends at Coten End to establish a 6-session programme to help Year 5 children develop this most vital of skills. With exam season fast approaching, we have a lot of important messages for Year 11 students and their parents but we obviously don’t want to swamp parents’ inboxes and risk messages being lost. To ensure that messages are all in one place, Laura Reece, our Year 11 Intervention Lead, is going to collate a weekly newsletter with messages from all Heads of Department for the week ahead, plus events and revision tips. These newsletters will be emailed out every Friday and will also be available on our website. The first of these newsletters has gone out today and is also available here: Year 11 weekly newsletter week commencing 25 March 2019. Many thanks to Laura Reece for putting this together and thank you for continuing to support your children as they prepare for their exams. We are very sorry to announce that former Myton music teacher, Mr Atkins passed away last weekend after a short battle with cancer. 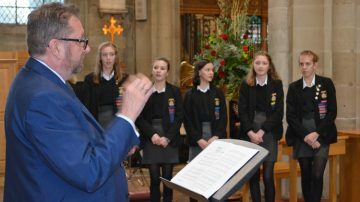 Mr Atkins was a valued member of our Music Department and until three weeks ago was delivering peripatetic lessons to many of our students. We extend our deepest sympathy and condolences to his family. This week, we have been reminding students that they are ambassadors of Myton School while they are making their way to and from school. If they are cycling they should use the cycle path and not cut across our neighbours’ driveways, and all students should treat the property of others with respect and consideration. Please can we ask you to reinforce this message at home. Thank you. A reminder that we are now using the School Post system for all school communications to parents. All emails from the school will come to your inbox from the following email address: post@mytonschool.schoolpostmail.co.uk and text messages will come from the following number: 07418 342163. Please note our previous communication system is no longer active so please do not send communications to either 9375403@capita-intouch.co.uk or 07860 095866. Many thanks. A reminder that ParentPay is now live for deposit payments for the Berlin trip (for current Year 9) and will close on Wednesday 4 April or when all places are filled. All details about the trip are in the letter sent to you via SchoolPost. If you want to book a Sprint Finish session during the Easter holidays for your child, please login to the parents’ evening booking system to see a list of the courses that are running and select the sessions they would like to attend. As a reminder, there will be no catering in school over the holidays so please remember to bring your own refreshments to the revision classes. 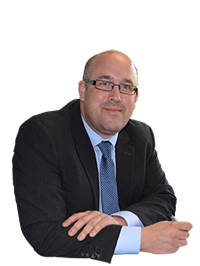 As part of the changes brought about by the new data protection legislation, it has become necessary for us to regain your consent for taking and using images of your child. You should have received an email from us via School Post with an electronic consent form. If you have not already done so, please read and submit your response in order for us to update your records. If you have any queries or are experiencing any difficulties, please contact Reception on enquiries@myton.co.uk. We will be holding our annual Festival of the Arts on Thursday 11 April between 6pm-8pm. This is an informal event to showcase Dance, Drama and Music with a variety of performances taking place in the Drama Studio, Music Department and Lower School Hall. We hope that you will be able to join us at what should be a very enjoyable evening. Please note there is no charge to attend this event. SEND Supported are a team of education consultants who support learners with special educational needs and disabilities (SEND). On their website they publish a list of events such as parent drop-ins, tailored sessions for parents of children with autistic spectrum conditions, plus social and other activities for children and young people. You can see the full list on their What’s On page. 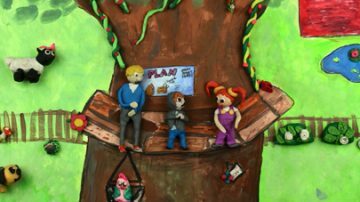 You may remember that last year some of our Year 8 artists (now in Year 9) took part in a stop motion animation project with the artist Chris Bradley. They started the project at the Royal Pump Rooms in Leamington, where they took as their inspiration one of the paintings in the art gallery, and went on to write and animate their own short film which you can see here: The Prodigals. Well done to everyone involved. This is a fantastic result! 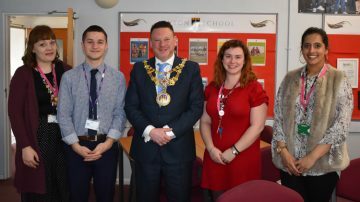 We were delighted to welcome Councillor Rich Eddy, Mayor of Warwick, into school this afternoon. He was here to meet HERO, our LGBT+ support group. Students chatted with Cllr Eddy about the role of the support group and took him on a tour of the school. He also met staff ambassadors. This week, our Year 12 students attended a Road Safety session run by Warwickshire County Council. They discussed the common distractions and other factors that can lead to car accidents and were able to experience a simulation of an accident through 360 headsets. This was a really important session and, although hard hitting and difficult, we hope it will cause students to stop, think and act safely when they are out and about in cars. 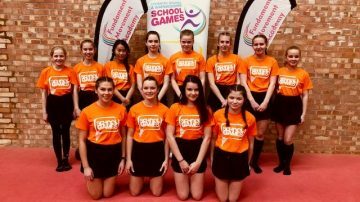 After recently winning their district schools competitions, the Year 7 & 8 and Year 9 & 10 Myton trampolining teams went on to compete in the county games in Solihull on Monday 1 April. 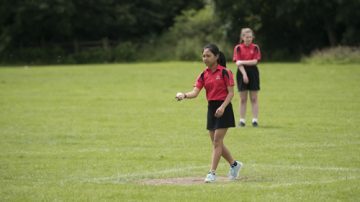 If you are interested in competing in Athletics, Tennis, Cricket and Rounders, please check the PE boards for key information about practices and trials. If you are an athlete and would like to be considered to compete in a multi-event competition, please see Miss Cole for more information. Myton girls football teams will be well represented in the District Cup finals on Wednesday 3 April. (The U14 team reached the final with a 5-0 victory over North Leamington last week.) Both finals will take place at Campion School and it is hoped that the teams will be victorious in the cup. Spectators are most welcome as both finals kick off at 4pm. Well down to the Sixth Form team who beat Aylesford on Wednesday 27 March, 17-6. 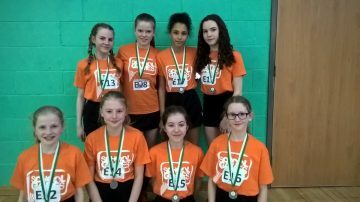 The Year 9 Netball team competed in the Emerging Schools tournament on Wednesday 27 March at North Leamington School. They beat North Leamington, Campion, Aylesford and Arnold Lodge, drew against Kinglsey, but lost against Kenilworth and winners Southam. Well played. Well done to Josie and Pippa Smart on another orienteering success at the Schools Championships at Memorial Park in Coventry on Saturday 23 March. There is a write up of the event in this week’s Rugby Advertiser. Well done to Joel Cleaver, who has recently been playing at U15 level (the next age group up from his age). In Manchester on Saturday he finished third and in Sheffield on Sunday he finished second, just losing out to a boy who is about to move into the U17 level. 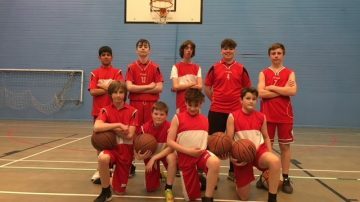 Many congratulations to the Year 8 basketball team on beating Campion School 80 points to 2 in their final game of the season on Tuesday 19 March. The Year 7 football team drew 2-2 with Southam College on Thursday 21 March. It was a fantastic match, with Myton conceding a goal in the final couple of minutes.